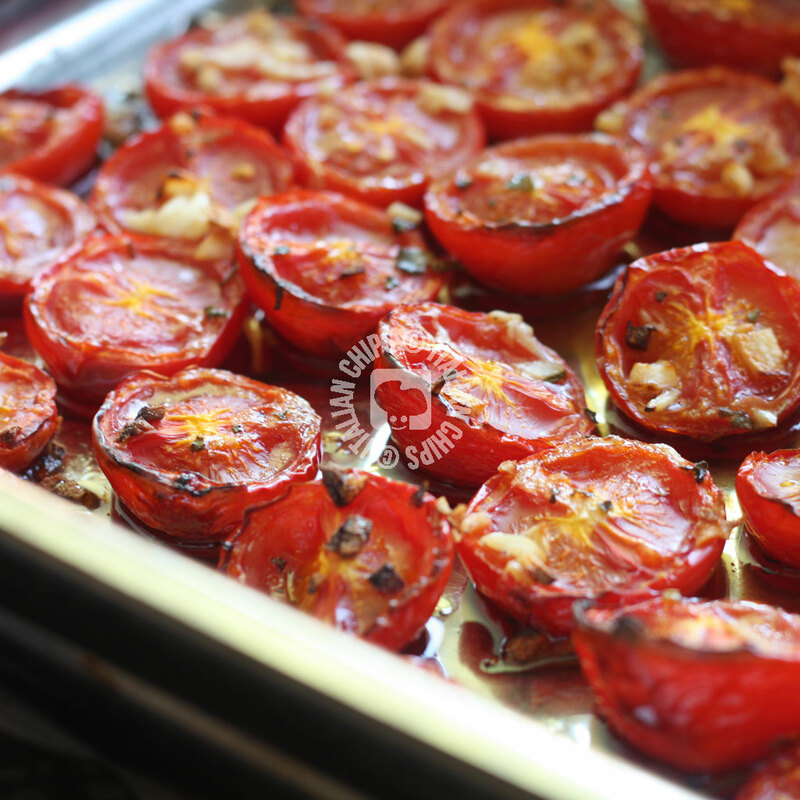 I have just eaten these roasted tomatoes for lunch. I saw the recipe, bought the cherry tomatoes, arrived home and baked them for myself. As I am the only one at home that likes baked or roasted tomatoes, I didn’t even have to wait to eat together with my husband for this reason. I ate it with a few pieces of Sardinian bread and fresh ricotta cheese. 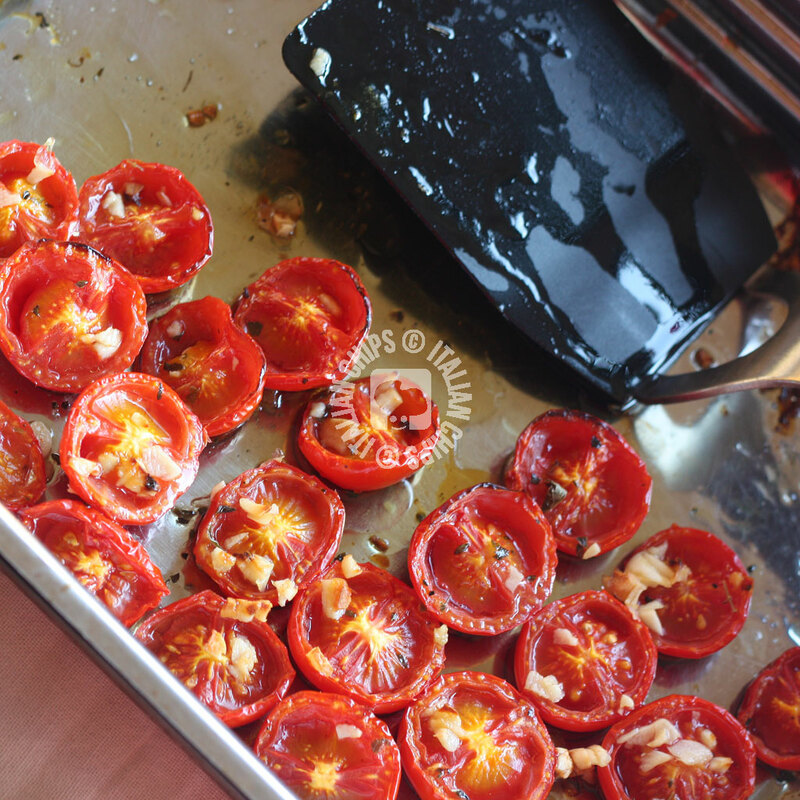 Well, also for this time, I had to control myself for not eating the whole baking sheet of tomatoes. The weather is still hot here in Sardinia (Italy). The sea is still beautiful and transparent, but I don’t feel like going to the beach so often. Yes, I know I am lucky to live by the sea, as it means I’ve been going to the beach since May. And probably for this reason, I begin to wait for Autumn (a season I love as it is not rigid here and brings wonderful clouds and silence). I found this delicious and super easy recipe in a blog I like so much. It is called Arabafeliceincucina and Stefania, the blogger, posts such a lot of delicious and easy recipes. 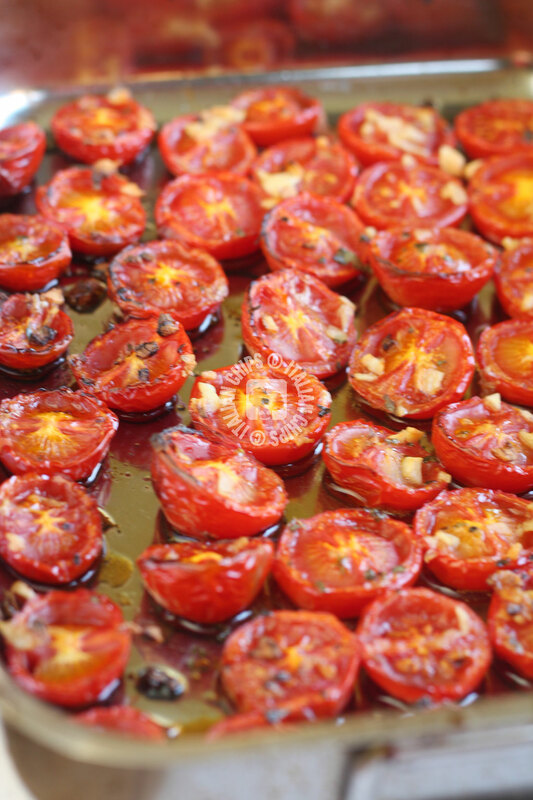 You can serve these roasted tomatoes as a side, to dress a bruschetta, as a starter together with some bread and ricotta, as I did. Turn on the oven to 190°/374°F. Wash the cherry tomatoes and cut them in halves. Place them with the cut part up in a greased baking sheet, trying to keep them cose one to another. In a small bowl mix together oil, honey, salt, pepper, oregano and garlic. 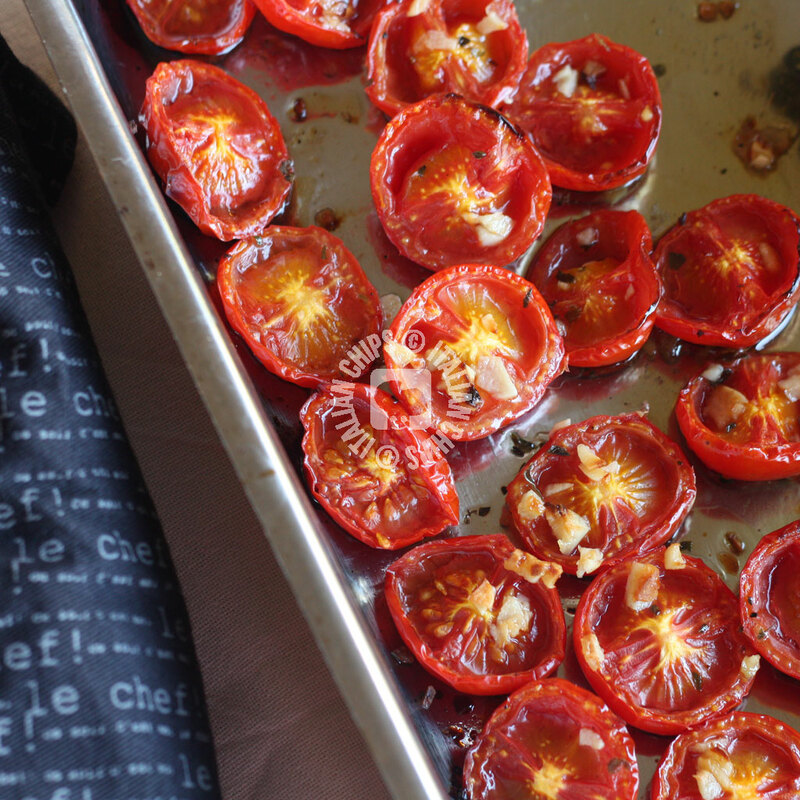 Spread over the tomatoes and bake until roasted (in my oven about 45 minutes).